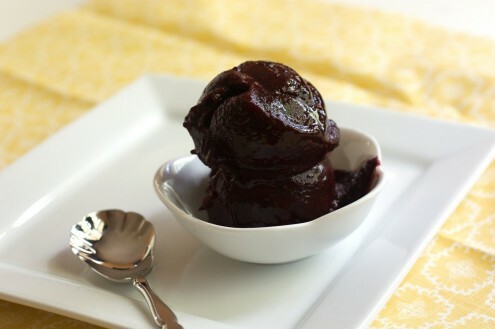 Black Raspberry Sorbet | Naturally. This week has been a little rough, I have to be honest and to be even more honest, this week has made me dislike the state of Illinois even more than I did before. (Sorry if you love Illinois, I understand) You see, this week I suffered my first Asthma flare and it wasn’t fun. I’ve never been diagnosed with asthma (just really bad allergies) and finally this week, I was unable breath well. Luckily, I now have medications and in inhaler so hopefully this next week will be better. I had to make a few things this week, however. Last weekend I picked black raspberries like it was my job. Then, they sat lonely in my refrigerator. Ever day I said to myself, I should make something with those but they sat, and sat. Finally by Thursday I mustered up enough energy to make this really simple sorbet and let me tell you, I may never go back to ice cream. There was no cooking, no eggs, no cream. Just berries, water, lemon juice, and sugar. Okay, so may be Illinois isn’t so bad- I do love picking wild black raspberries. 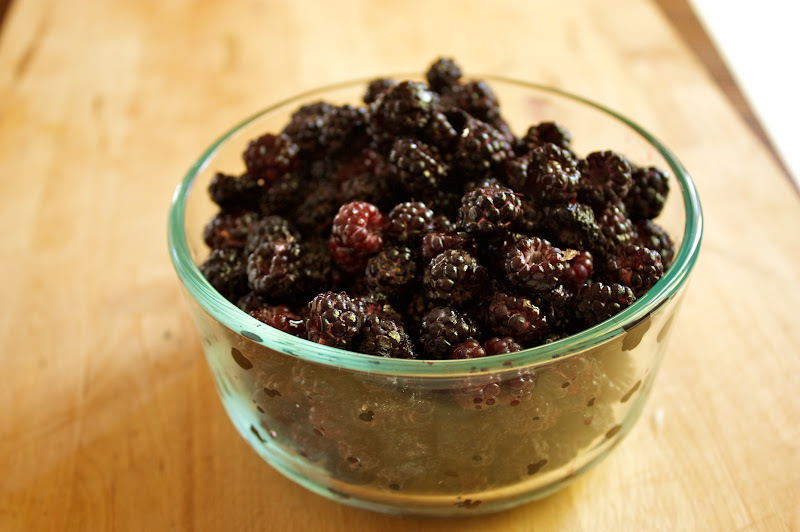 Place black raspberries in a food processor and blend until raspberries begin to smooth out. Add in remaining ingredients and pulse for one more minute until all ingredients are combined. Cover bowl with plastic wrap and chill in the refrigerator for 2-3 hours. Once chilled, pour into ice cream maker and freeze according to your ice cream maker’s directions. I have a kitchen aid attachment that took about 12-15 minutes to freeze. I have never been able to find black raspberries and I only got to pick one batch so I understand your yearning! I can’t believe they aren’t more popular! Fruit sorbets are so refreshing in the summertime- this raspberry one looks delicious. 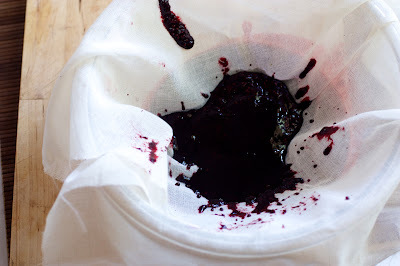 We have wild blackberries here that are almost ready and I’ll bet they’ll be good in this recipe as well! Thanks so much. We also have blackberries coming up next and I know that I will be making this again with them! Thanks for stopping by!